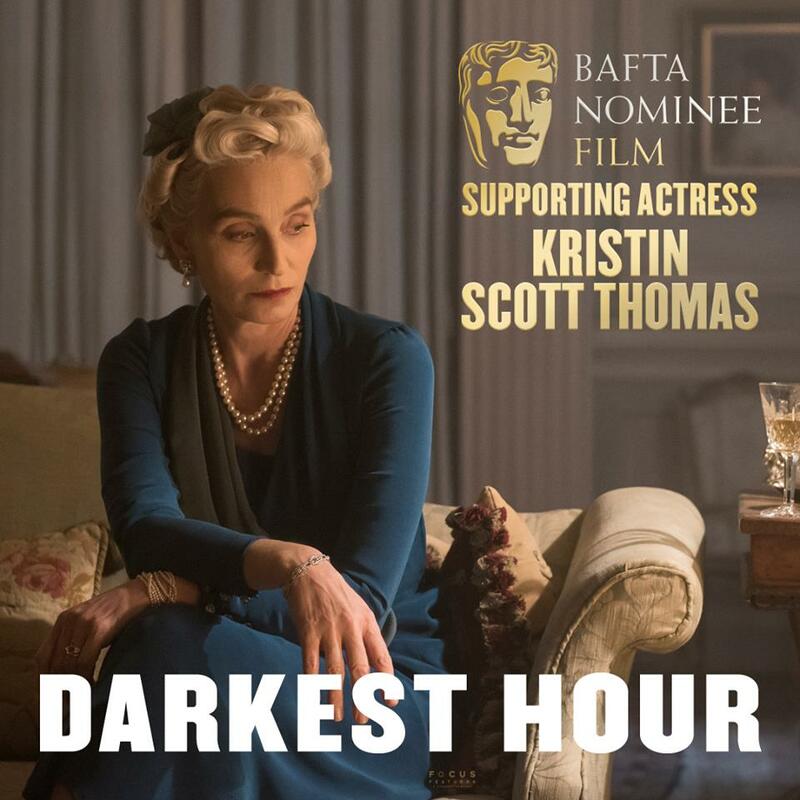 Acclaimed actress Dame Kristin Scott Thomas left England at the age of 19 to work as an au pair in Paris. She was married to French doctor François Oliviennes, with whom she had three children, Hannah, Joseph, and George. 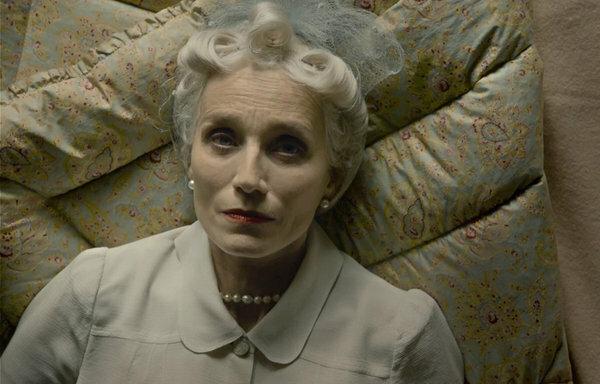 You play the character of Clementine, Winston Churchill‘s wife, in the film Darkest Hour (2017). How was it to mould yourself into her? A frightening responsibility. 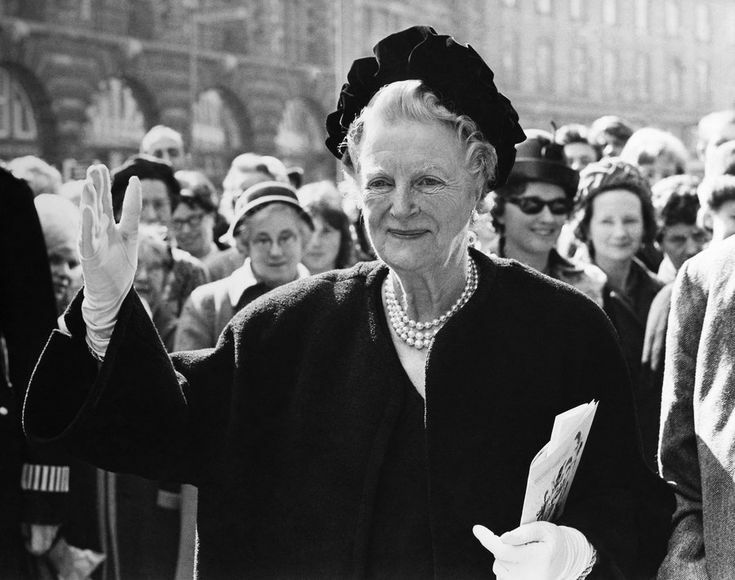 A person of historic importance, Clementine Churchill was also somebody’s mother or much loved Granny. I was fortunate to meet some of her grandchildren and was nervous about hurting people’s feelings, nervous about making assumptions. It’s a complex thing playing a real person. You are a theatre actress and accustomed to playing important roles. How do you portray a character? That’s called acting! It is helped by technical things. For instance, Clementine Churchill was supremely elegant but with a style that was individual. The shape of her head and hair is striking. We started with the hair. She had this strange hairdo, unmodern, peculiar, of another age. The doorway into finding a character is often through physical elements – the head, the costumes, the shoes, the rings. Are you happy with the way you looked in the film? Very pleased. In the beginning they were saying, “We’re going to make your hair light blonde.” I go: “Why? She had white hair. 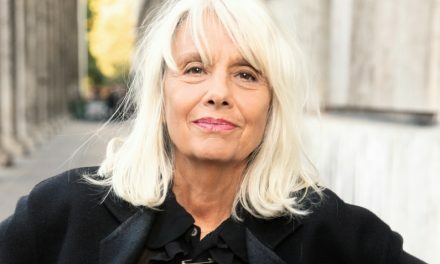 Give her white hair!” People were really worried because she was young, and now we associate the look that she has with a much older woman. But in those days that’s what a woman of 53 looked like. How else did you become her? Through the writing of the words that I say. Through a connection with the other actors. With guidance from the director, entering into a world which is created by the set designer, and the lighting cameraman who creates this atmosphere. Did you like Clementine as a person? A lot. She had a difficult upbringing and was a feisty, fiery sort of person. She was married to this man who she would adore and then loathe and fight with and absolutely loved to bits. Theirs was a passionate relationship. I often wondered what it’s like to be married and to have such knowledge and intimacy with somebody so powerful. Was she prepared for such a grand destiny? She may have just been swept up in it. Maybe she was stimulated by Winston paying attention to her, and being the partner of this brilliant human being. He certainly made terrible mistakes during the First World War, but she supported him and stood by him. Perhaps that opened up a whole new set of possibilities for her destiny. I don’t know what it was about him that created her belief in him. She would get very angry with him when he wasn’t doing what she thought he should be doing. Are you affectionate towards her? Yes, I’m very happy to have played the role. She was very important, a primary part of his life. I’m frustrated, because by the end, once we stopped my last scene, I realized that I had no more scenes to get rid of all this information that I had gotten hold of and invested in. Over the years who are the characters that you played that you liked the most? 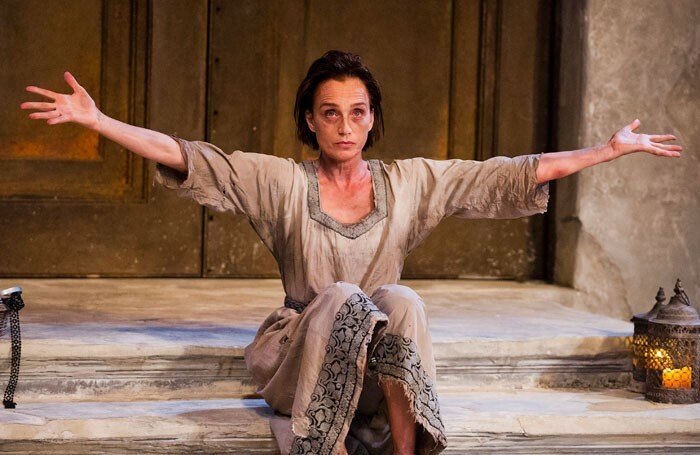 Playing Sophocles’ Electra on stage in 2014 was the most important for me. It put all my demons to bed. I’d done a lot of tragedy up until then, in film and on stage, and it got the tragedy out of me. I don’t want to do tragedy any more, I’m just not interested. I feel that that was a gift. Do you consider yourself more a theatre or cinema actress? I don’t know. It’s like being asked to choose between two children. Now I can’t bear the thought if somebody said to me you can never make another film, but four years ago I wanted to give up film entirely and never make another one. Why? Because you are in the hands of someone else? Yes, but also because you’ve got to dig down, mining emotions from one’s own experience. 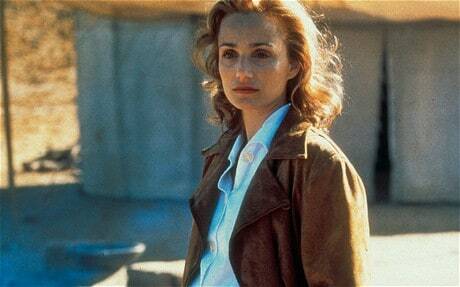 In Anthony Minghella’s The English Patient (1996) I was constantly mining my own feelings of fear of abandonment to bring them up to the surface. 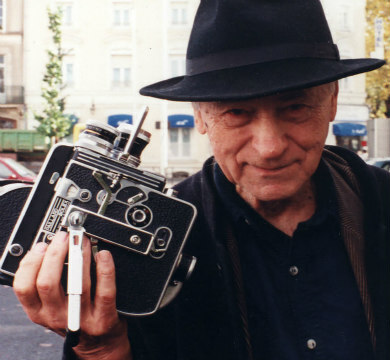 In film your job is to go and fetch the emotions and put them on display; and the director will take what he needs. This doesn’t happen in theatre? It happens differently, because in theatre you find a little seed of something within you and then you build on it to create something. You use the body. You build an impression with the whole of you. In the theatre you’re in front of an audience, and the audience will hear it in one way on a Monday night and then on a Thursday night they’ll hear it in a completely different way. Your job as an actor on stage is to take the audience where you want to take them. Was The English Patient the major role that you liked the best? One of them. There’s a lovely film that hardly anyone saw called An Unforgettable Summer (1994). 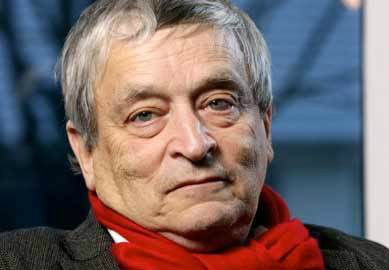 It was by a Romanian film director, Lucian Pintilie, and I love it. I am proud of that. And then things like A Handful of Dust (1988) as Brenda Last, and I’ve Loved You So Long (2008). Did you start out as a French actress because you studied acting in France? I tried to study acting in England but I got told that I had no talent, so I left and went to Paris to get away from wanting to be an actress. I thought I wouldn’t be able to do it in France. But the desire to be an actress did not leave. It just moved countries with me! Why did you want to be an actress? I don’t know. I come from a middle class military family. My mother had wanted to be an actress. People want to be actors from all places, it doesn’t matter where you are from. People from highly privileged backgrounds and people from totally underprivileged backgrounds, all want to explore what it means to be another person, what it’s like to be someone else. How do you keep confident about your career? I don’t. There have been times when I really thought: OK I’m not working much anymore, my career’s over. In some ways I’ve been quite relieved about that. I have an ambivalent attitude, not towards work but towards success. It is a double-edged sword. You’re feted and people are happy to see you, but the other side is that you are public property, which is a strange thing. I’ve always managed to keep a very balanced life, because as a family we chose to stay in Europe and not go to America. I was way too fragile for Hollywood. I don’t have enough ambition, I don’t have enough fight in me to cope with the competition. But you have been to Hollywood? Yes, but only for one film for four months. I had a lovely time, working with interesting people like Kevin Kline on a film called Life as a House (2001) with a wonderful director, Irwin Winkler. What kind of relationship do you develop when working with other actors? There is something totally magic which I don’t understand, which is chemistry on screen. You just believe the other person. For instance, Gary Oldman is extraordinarily convincing as Winston Churchill, and he and I worked really well together. When that happens it’s like a knife through butter, it’s really good fun. Other times you can be working with someone where it’s as if you hit a wall all the time. You try to act with that person and it never really penetrates. That is very difficult, and happens just as often. 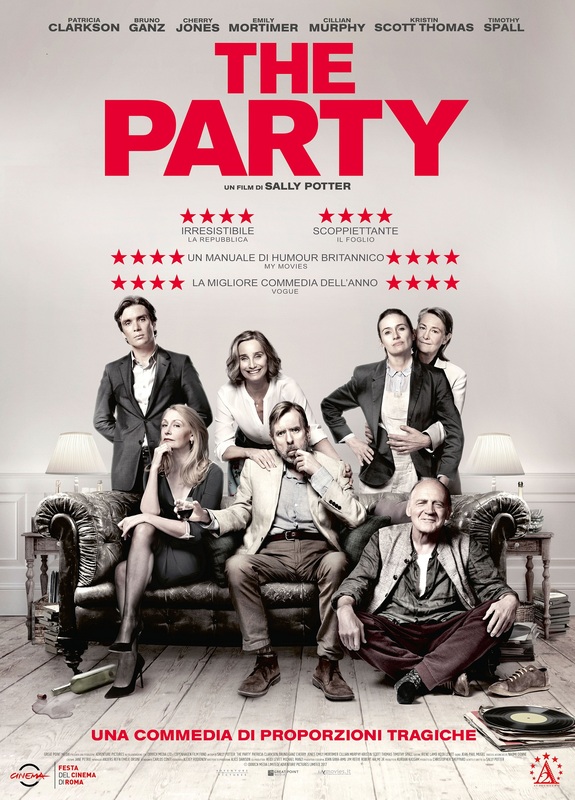 The Party (2017) is an English black comedy written and directed by Sally Potter. It must be difficult to be married to an actor or actress? 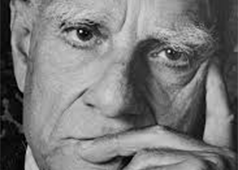 It is difficult because of the commitment to this other life. I’ve seen friends of mine, who I’m close to and know well, in performances where you cannot understand where that comes from. They’re unrecognizable. To be involved emotionally and intimately with somebody who does this magical thing of turning into someone else can be frightening, disturbing, and worrisome. Do you miss acting when you are not working? I miss film sets. I like crews, the atmosphere, everybody making the thing. I miss rehearsal for a play and being on stage. I like it, but it is absolutely exhausting. I’m happy when I’m not working. At the moment. People say you get to your 50s and things get easier and it’s true, but I’m concerned about the state of the world. I think we live in a terrifying place, but the terror is all part of the problem, so we need to make a huge effort not to be terrified. Nationalism terrifies me. The speed of information terrifies me. Information going too fast is dangerous, because people don’t have time to think. Because people don’t have time to think you get this sort of instinctive impulsive behavior that is not helpful. How do you feel about the sexual scandals? I’m in all camps except for the molesters’! It’s interesting to see the divide between the way women of my age and older perceive it, and the way younger women perceive it. There needs to be more legislation in the workplace, but I’m dreading the time you’re going to have to use an app for consent when you’ve met somebody at a party or a dinner. Romance has gone. I find that very sad. Do you have any projects for the future? Yes, I do. I’ve been wanting to direct a film for a long time. It’s a love story, a loose adaptation of a novel I read when I was seventeen called The Sea Change by Elizabeth Jane Howard. She talks about love and about different forms of love, how it can change very quickly and, if you misinterpret it, go wrong. I’m interested in how to express your feelings for people. Is love important for you? It’s very important for everybody.